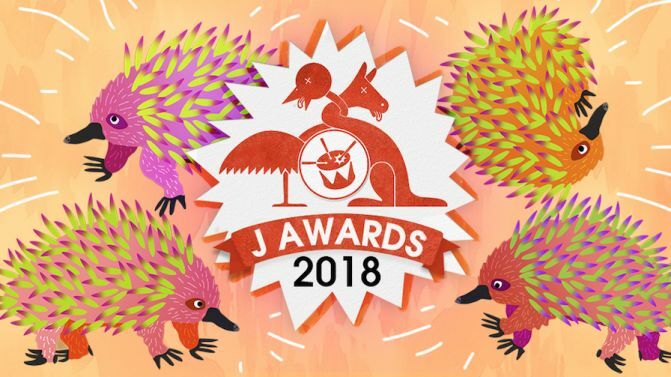 Triple j, Double J and triple j Unearthed have announced the winners of their annual J Awards, after revealing the 2018 nominees earlier this month. Middle Kids have claimed the prestigious triple j Australian Album of the Year award for their debut album Lost Friends, beating out albums by the likes of Amy Shark, Courtney Barnett, RÜFÜS DU SOL and Tash Sultana. “From Middle Kids’ first Unearthed upload through to their incredible debut album and beyond, their song-writing is instantly familiar while being refreshingly original,” says triple j Music Director, Nick Findlay. The Double J Artist of the Year award went to late Indigenous singer-songwriter Gurrumul, whose posthumous final album Djarimirri (Child of the Rainbow) was released in April. Sydney rapper Kwame claimed the Unearthed Artist of the Year award after capturing triple j Unearthed‘s attention with his track ‘WOW’, before going on to perform at Splendour In The Grass. Meanwhile, the Australian Music Video of the Year award went to Mojo Juju‘s video for ‘Native Tongue’ (below), directed by Claudia Sangiorgi Dalimore. Shot in regional Victoria, the video features the Djuki Mala Dancers and the Pasefika Victoria Choir. Catch the full list of this year’s J Award winners (and nominees), below.